Whole class Phonics is taught in Reception and Key Stage 1, using the ‘Letters and Sounds’ six phase teaching programme, from the Primary National Strategy. In addition to this, we introduce the ‘Jolly Phonics’ sounds and actions. Intervention programs are used throughout the school to boost phonic knowledge in small groups or individually. These include the ‘Lexia’ , ‘Nessy’ ‘Clicker 7’ computer programs and ‘Sound Discovery’. 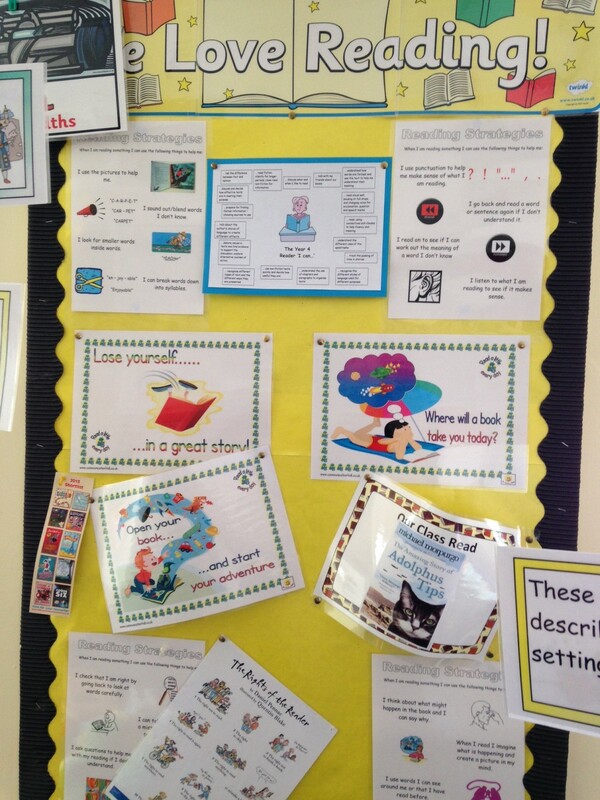 We have a range of reading schemes in school, which are colour coded according to reading levels. These books are read at school and are also taken home for extra practice. 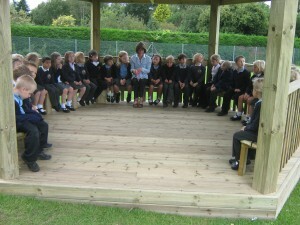 Our schemes include ‘Oxford Reading Tree’, ‘Story Worlds’, ‘Sunshine Books’ and ‘All Aboard’. We purchased new books in September 2016 to replace some of our older scheme books. As the pupils gain in fluency and independence, they progress from the scheme books and begin to choose reading material from our well stocked library. We also have guided reading sessions in class which are led by the teachers. This time is for learning reading strategies, sharing a book in a small group and practising reading skills. We have a range of fiction and non-fiction texts to use for this purpose. We have a well stocked school library and use the School Library Service to develop our reading provision, as well as visiting the local library. We organise curriculum enrichment days which generate enthusiasm for books and stories, for example storytelling days, World Book Day and ‘Story Café’.